The World Series of Poker Colossus tournament may very well end up being the largest live poker tournament in history in terms of field size. 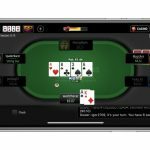 In fact, the tournament is expected to be so large that even WSOP officials aren’t sure they’ll be able to predict within a few thousand the total number of entries it will attract. Palansky’s number may be rather ambitious, but even the other numbers he is reporting are impressive enough. Reportedly, various people are estimating anywhere from 10,000 to 20,000 or more entries. 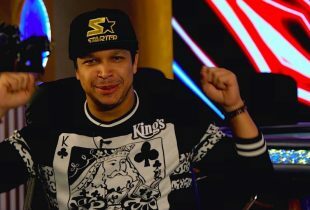 With a $565 buy-in, any of these numbers would be enough to surpass the $5 million guaranteed prize pool the tournament boasts. Of course, getting that many players into the Rio is going to be a logistical challenge: there’s no way to fit 20,000 people in the poker area for a single tournament at one time. 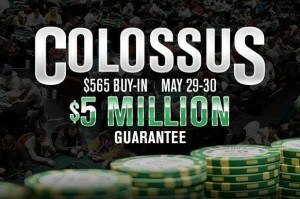 That’s why the Colossus features four starting flights, two each day on May 29 and May 30. And if those sell out, there will also be two rounds of “Late Waves” in each flight, in which more players will be able to jump in to replace those knocked out early. The Late Wave players will start at later blind levels, but will still only have the standard starting stack of 5,000 chips. But while there’s plenty that the WSOP staff can do to smooth out the tournament process, they’re still hoping that players will do their parts to make the tournament work as well. On that note, they’re asking that players do not sign up on the day of the Colossus if at all possible. Players have also been encouraged to preregister for every flight they might play ahead of time. The WSOP says they are willing to give refunds for flights players choose not to play: each player will have the option of entering once per flight, though at the end of any Day 1 flight where they have chips, they will have to choose to either keep their stack (and not play any further flights) or forfeit their chips in order to try again. While this all sounds like it could get rather hectic, Palansky did say that players seem to be following the WSOP’s requests. When will the pre registering for the 2016 WSOP start?